By working with a campaign or volunteering in some other way, students can learn organizational skills, how to get along with others and build a strong work ethic. Ball said that dedication to a movement is an important skill for high schoolers to learn. Many Central students have found ways to get involved by focusing on what they are passionate about. Others have been introduced to politics by their families or through activities in the classroom. Regardless of how they started, each student has been affected by their involvement, and appreciates the impact that interacting with politics has had on their opinions and knowledge. Senior Tinca Joyner began volunteering in politics during the 2008 election cycle. She canvassed with her mom, and though she was young took valuable insight away from her time canvassing and is currently in the process of getting involved again. “I learned that everyone can get involved and have their voice heard, even if you are not able to vote,” Joyner said. Joyner’s time as an exchange student in France also has impacted her outlook on American politics. In France, she was constantly asked about her political beliefs and whether or not people in the United States truly supported Donald Trump. “I was ashamed to be associated with Trump, and people around the world assume all Americans share the same beliefs as him. I do not want him representing our people,” Joyner said. Joyner sees how the American election affects the entire world, and this has given her another reason to get involved with politics. Joyner believes that it is important that high schoolers develop their political opinions, even if they are not able to vote. “It’s important for us to express our opinions to make our voices be heard,” Joyner said. Senior Chloe Klare also started engaging with politics through canvassing for a campaign. She has volunteered for the Nebraska Democratic Campaign and also attended political events, such as President Obama’s speech at the Baxter Arena in January and the Hillary Clinton rally in August. Klare also believes it is important for high schoolers to develop their political opinions. “In high school, people are exposed to diverse cultures and political standings…so they can develop more informed and open-minded political views,” Klare said. Similarly, senior Olivia Larson has volunteered at a local level and engaged with politics through Central organizations. Volunteering has exposed Larson to a variety of perspectives. “I’ve met people who don’t think they matter or don’t know their politics, but simply having an opinion on an issue makes one political,” Larson said. One of Larson’s favorite parts about volunteering is the fact that her own political knowledge allows her to be treated as an equal. “Having the ability to speak on the same level about economic issues, especially, in addition to social ones, earns me so much more respect in a volunteer setting where I’m typically the youngest in the room,” Larson said. Her opinions are valued just as much as those of older volunteers and she feels that she has an equal impact. 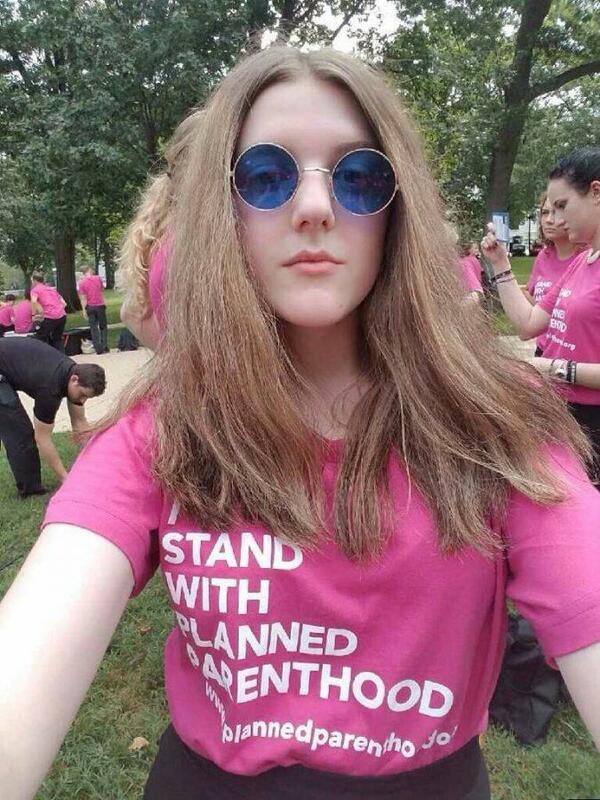 Currently, Larson is involved with Central Student Democrats, works with nonprofits and other organization and has signed up to volunteer for Planned Parenthood. She intends to continue her work in politics in college too. “I have a personal goal to work in a more permanent capacity on a campaign in the future,” Larson said. Senior Jack Doody has also been involved with several campaigns and intends to continue volunteering in the future. He was first introduced to politics through his parents and grandparents. His grandparents have both held local offices, and one of the first campaigns he worked on was his grandma’s National Resource District board campaign. He also was actively involved with Barack Obama’s 2008 and 2012 campaigns and intends to work on the Clinton-Paine campaign. In addition, he attended Boys’ State this past summer. Boys’ State was a key event for Doody because it helped him further understand the workings of politics and campaigns. “We worked in mock political situations and I worked as the head of the committee that planned party platforms as well as voting for candidates in mock elections, and funding mock PACs [Political Action Committees],” Doody said. His work with campaigns has also helped him understand the importance of events such as town halls and debates. Doody believes that young people need to pay attention to politics because they can make a difference in every election, regardless of whether or not they can vote. “You may not take an interest in politics but politics will always directly and indirectly impact you,” Doody said. Doody’s favorite memories from volunteering are the interactions he has had with people. His positive memories combined with his interest in politics have made him excited about continuing his involvement. “I hope to support candidates who I think will improve local, state and national government. That includes campaigning, voting and educating myself on the issues,” Doody said. Central junior Jocelyn Sisspa has even taken her political interests to a national level. After being introduced to Planned Parenthood and reproductive justice issues, her interest continued to grow, and in August 2015 she joined the Teen Council. “As a part of this group I lobbied this past July at Capitol Hill in D.C. for Planned Parenthood, One World and St. Charles Drew Title X funding,” Sisspa said. Many students at Central who are involved with politics are concerned with social issues. Ball stated that for many students, the most important issues are social ones and ones pertaining to education, especially the cost of college. When asked what issues would be at the top of their agendas if they were president, students responded with answers including prison reform, protection of the environment, immigration reform, women’s healthcare, and allocation of funds to public schools. Clearly, students are concerned with many issues, and their political involvement reflects their concerns. How can students who want to get involved find a way to volunteer or engage in some other way? Ball believes that there are several ways students can find opportunities. One is to contact a candidate that you support, since campaigns are always looking for volunteers. Another is to join a local party and try to become a delegate to local conventions. A third way is to find an issue you are passionate about and find an associated interest group. All students have the ability to get involved with politics. Change starts at the local level, and by engaging with politics all students are capable of making a difference in local, state, and national politics.